This website contains a vast amount of videos covering all topics within the AQA GCSE Core, Additional and Triple Science specifications to enhance and support learning outside the classroom. Click here for the Physics Unit 3 playlist. Free Science Lessons.co.uk - contains a large collection of FREE tutorial YouTube videos, which are short, details and precise. Go to the link then select the topic using the arrows on the left hand side of the page. 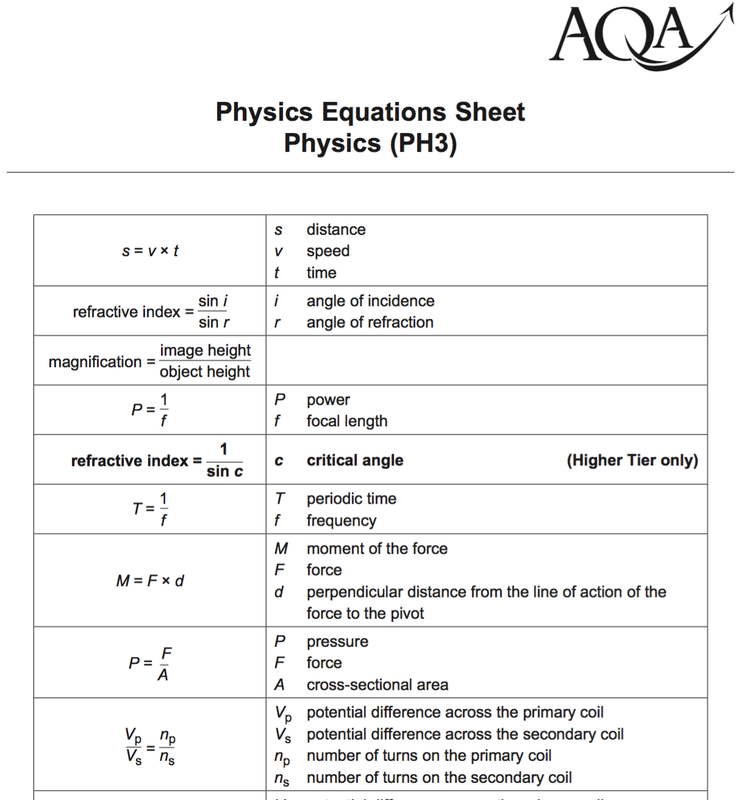 Physics Unit 3 equation sheet. Click here.